It’s Day One of the Respect Dare here at Affaircare, and we are joining with Jennifer at Unbroken Woman as she leads us through Nina Roesner’s “The Respect Dare: 40 Days to a Deeper Connection with God and Your Husband.” Jennifer is a little over half way through her Respect Dare, but here at Affaircare we are looking at this Dare with just a little twist: how does respect (or lack thereof) relate to infidelity? What can we learn to keep our marriages affair-free OR bring them back from the brink of unfaithfulness? Or if that has been an affair, can learning about respect help a couple rebuild? 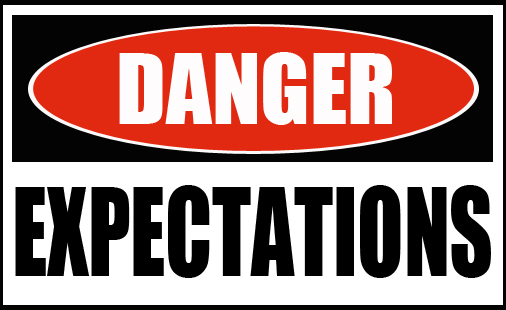 Today’s Respect Dare topic is about Expectations. Expectations (according to the dictionary) are “something looked forward to, whether feared or hoped for”; “a prospect of future benefit or fortune” or “the degree of probability that something will occur.” An expectation of myself might be that I anticipate that if I do X…I expect Y will occur, and either I HOPE that happens or I am AFRAID that it will. It’s putting my eyes on the future, and kind of gambling that this or that will occur ! He was so right!!!! I felt so embarrassed because in that moment I realized that there are more than one ways to load a dishwasher, and here he was actually doing what I asked and getting punished for it! Somehow I had learned that my way was the “right” way and any other way was the “wrong” way….and that I didn’t have to ask people to do it my way…they should “just know” that it’s right. What’s worse, is that over the years, my expectations had chipped and chiseled and whittled away at the foundation of my marriage, doing great harm. This damage was a little opening that left my spouse vulnerable to sin when another woman came along who showed him some admiration and interest instead of always showing him how “wrong” he was! Now he still did have a responsibility to say “no” to that temptation–so don’t get me wrong–but why put our spouses into the position of being vulnerable to attack, when we can put up DEFENSES and shield our marriages by letting go of unreasonable expectations? By looking at the woman in the mirror and realizing that *I* was the one who had to change, I was protecting my spouse and my family from enemy attack! In your journal, under the heading “Expectations for My Progress ,” write out three tangible, measurable statements that would indicate progress is being made for you. I personally have not purchased a notebook or pretty journal for this Respect Dare because I’m going to be using this blog as my journal, right out in the open. You may want to buy a journal (Walmart has school notebooks for 17 cents right now) or you may want to start an online journal (My-Diary.org or Diary.com). In the comments below, please share thoughts and where we can pray for you. 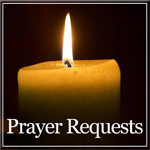 If it is private, please email us at affaircare@gmail.com or share your prayer requestwith us anonymously.